How would you like to take an electric vehicle for a spin? 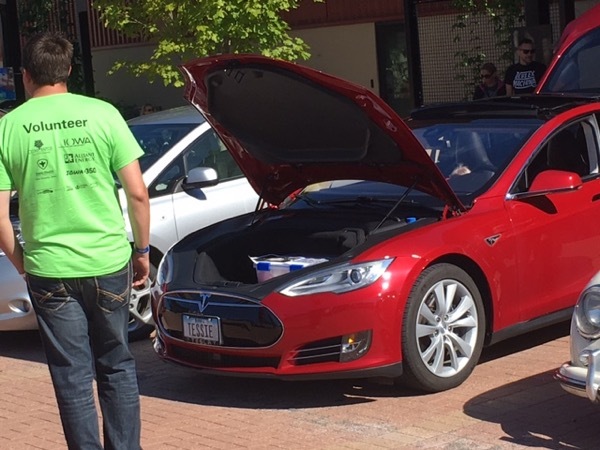 Alliant Energy, along with Iowa Clean Cities, 350.org, Linn County, the City of Cedar Rapids, Iowa Economic Development Associations and local dealerships, are bringing that experience to Cedar Rapids. Meet us at NewBo City Market to test drive or ride in an electric vehicle. Feel the instant torque, the quiet and smooth ride and find out how much you can save by going gas-free. Join us to hear about the costs savings and environmental benefits of driving an electric vehicle, and the Alliant Energy electric car charger rebates and manufacturer discounts. Registered attendees report 238,120 electric miles driven.